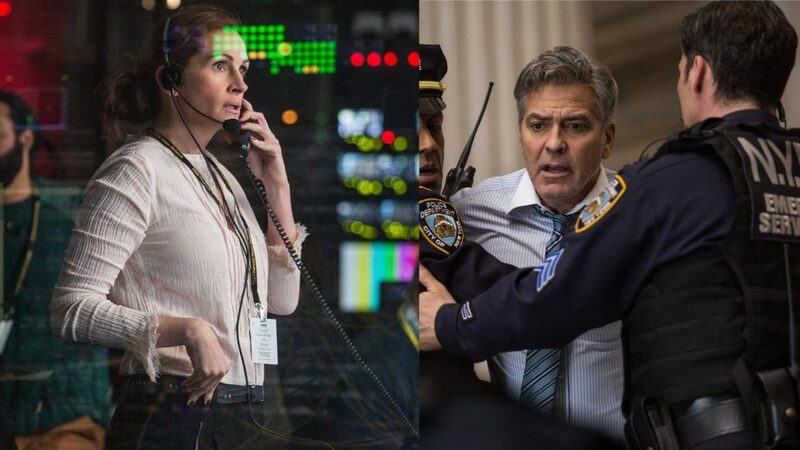 Foster uses the opening show sequence to set the premise of the film and also to let moviegoers know that Money Monster is gong to be more than just an action-packed drama. It’s also going to have moments of great humor. Gates begins each of his shows with a cheesy song and dance number, including costumes and backup dancers. Then, during the financial news, he uses props and sound effects to keep his viewers entertained. His producer, Patty Fenn (Roberts) attempts to both reel him in and keep him on topic. Gates is set to interview the CEO of IBIS about a “computer glitch” that cost investors $800 million. The company has other plans and sends Diane Lester (Caitriona Balfour) the Chief Communications Officer instead. She has given Gates a set of talking points to discuss regarding IBIS. During the interview, Budwell, posing as a food deliveryman, takes Gates hostage and forces him to put on an explosive-filled vest and demands that the studio keeps the show live. Fenn, in an effort to keep Gates alive, agrees and has all nonessential personnel leave. Budwell is enraged and wants explanations for the loss of his life savings. He does not believe the loss is due to a “glitch” and demands an explanation that makes sense. Foster directs a conspiracy theory film that takes audience members through a nice series of twists and turns. 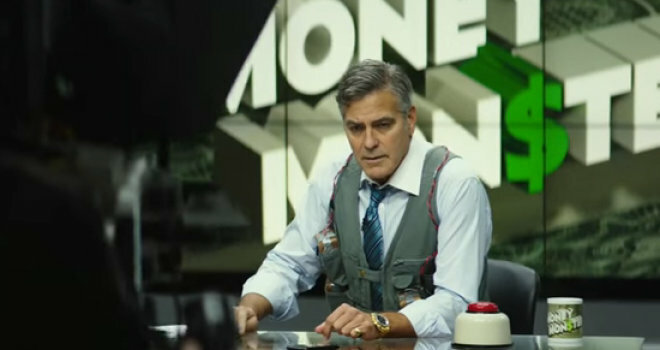 Clooney and Roberts are well cast and very believable in their roles. Perhaps this is because their characters resonate with true-life perceptions. Gates is very wealthy and lives an elite life, but like Clooney, connects with people and has a sense of genuinely caring what is happening in the world. Fenn is bossy, demanding and not shy about giving her opinion. Overall, the film has very few weak links and a strong supporting cast. Even though the film has a predictable ending, Foster managed to bring a ripped-from-the headline story to the big screen with humor and heart. This entry was posted on Monday, May 16th, 2016 at 4:40 pm	and is filed under Film, News. You can follow any responses to this entry through the RSS 2.0 feed. You can skip to the end and leave a response. Pinging is currently not allowed. « Bad Boy Family Reunion Tour Is Announced With Dates!! !